​As ​reported back in December 2017, NBC has been eyeing a reboot of the fan-favorite The Office. Since then, little to no information on its status has been revealed, with even its stars claiming they've been kept in the dark. Well, during a recent event with with ​The Hollywood Reporter, NBC chairman Robert Greenblatt said Seinfeld and Friends will never get a reboot, but The Office and The West Wing are both very possible. He noted, however, The Office would likely come back without the full original cast. We already know, as ​reported back in May 2017, Steve Carell is not interested in any type of revival for his central character, Michael Scott. However, other major actors from the show haven't written it off. 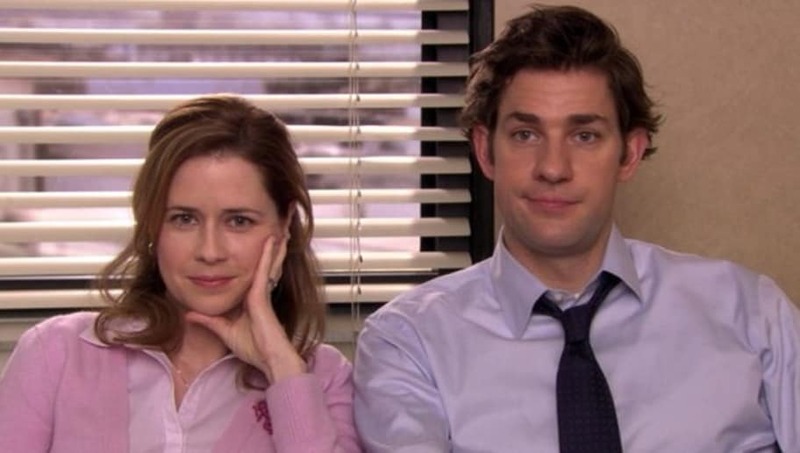 While appearing on The Ellen Show, John Krasinski, who plays Jim Halpert in the series, ​expressed his interest in the reboot, but said he had not yet been contacted about it. And Ed Helms more recently put in his two cents on the possibility, ​saying he isn't sure on any plans for it. "I don't know what form it would take or anything. I'm sort of agnostic. I love whatever has anything to do with that show, but it's all very hypothetical right now," Helms said to Entertainment Tonight. It seems still all vague for now, but Greenblatt's recent comments make it seem more than just hypothetical. So what's holding them back!? Although we're a little skeptical of how a reboot would go, we're still curious enough and want our favorite characters back.